"Dynamic" Series – (120mm / 4.72 in ) label liner maximum width. Speed: (40m/min – 131 ft/min). Max. 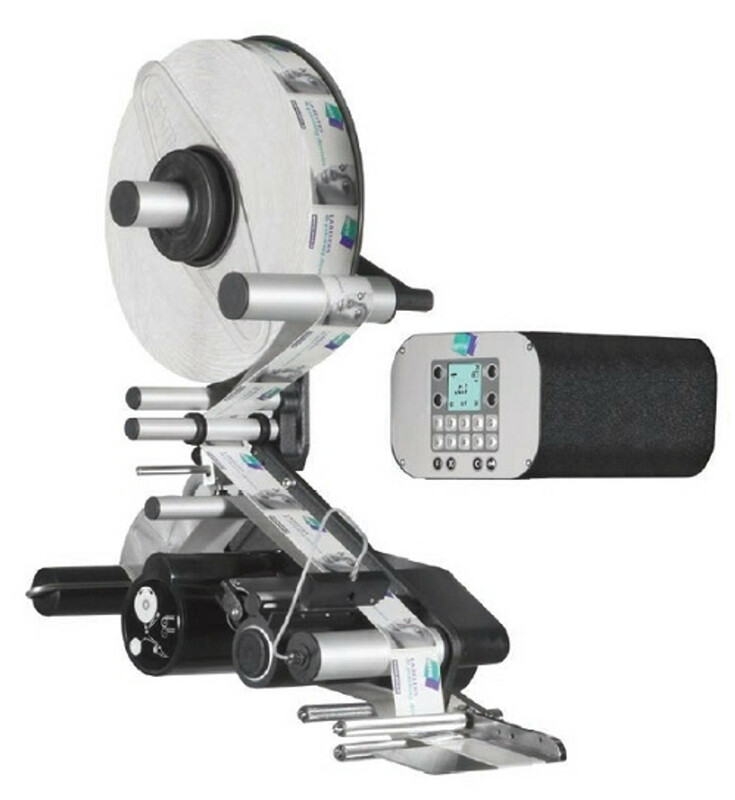 label roll outside diameter: (260mm – 11 in). "Easy" Series – (160mm / 6.30 in) label liner maximum width. Speed: (20m/min – 65.5 ft/min). Max. label roll outside diameter (360mm – 14.2 in). "Wind" Series - (80mm / 3.15 in) and (240mm / 9.5 in) label liner maximum width. Speed: (80m/min – 262 ft/min). Max. label roll outside diameter (380mm – 15 in). "Flash" Series - (80mm / 3.15 in) label liner maximum width. Speed: (150m/min – aprox. 500 ft/min). Max. label roll outside diameter (380mm – 15 in). Labellers are equipped with synchronized dispense applicators or with pneumatic applicators for tamp and Reverse vacuum-blow or air blast labelling. All of our labellers can be furnished with printing devices and are available in various widths. We also offer electro-pneumatic hot foil printers integrated with the Labellers. All models are offered on a Left-Hand and Right-Hand version. Labellers are equipped with synchronized dispense applicators or with pneumatic applicators for tamp and Reverse vacuum-blow labelling. Labellers guarantee performance and reliability under any critical production environment and heavy workloads.